There are numerous strategies and tips available to content marketers, but not every strategy in the book can/will work for you. It is crucial to stay on top of every new tip and find out which one works best for you by continuously implementing them. Only then your business will get more positive results and be successful. When you make separate landing pages with target keyword, it gets more search engine traffic. To ensure that your post has enough and right keywords, you consistently have to monitor your consumers and learn about their needs and habits. It will aid you to customize the post and insert the right keywords which will help you build targeted landing posts. E-mail is a great content marketing strategy 2019 that delivers amazing results for marketers. It still receives a lot of flak and criticism for delivering positive results. But that is mainly because marketers are not crafting the email in the right manner. It has nothing to do with emails, as a consumer still checks almost every mail. Make it clear, short, crisp and engaging. The subject line is crucial, whether the user will click on the mail or not, depends on it. So, make the subject line catchy and relevant. You can even use target keywords in it. Keep the language of the email simple; avoid technical jargon. Divide the subject using bullets and sub-headings. Ensure that the email emphasizes on the benefits of product/service. Optimize the email for all devices. Visuals like images, illustrations and infographics are important tools in content marketing strategies 2019 . The best thing about them is that they increase the engagement of your blog content for users. It helps to catch the attention of your targeted audience. Infographics aids in increasing awareness about your brand as they have relevant data like the logo, websites and so on. If your infographic is effective, it will engage more people. It has the potential to become viral content. Keep it simple and focused. Create them keeping in mind your target audience. It should be easy to view and manage. Use Canva infographic maker to create professional infographics in minutes. It is important to understand that not every consumer from your target audience is a buyer. Some are merely looking for information, and they will turn into consumers gradually. That is why it is crucial to segment your target audience. For that, you need to create a buyer persona and make a list. Now, segmenting your blog or website is not a feasible option. But you can easily segment your email marketing content. Use your list and send a relevant email to consumers looking for data and ones who want to buy the product. A survey by Emarketers states that owners who segment their email list sees an increase in their opening rates by 39%. There are numerous social media platforms that you can use for your business. But to yield its benefit and increase your traffic, you need to invest in the right media. Just because one social media is working for some business, doesn’t mean it will work for you too. You need to test your content’s engagement level on all social media before you completely invest money and time on it. Also, it is not important to be present on every social media. Use the one that is relevant to your business and is accessed by most of your consumers. Having unique blog content, investing in the right social media and so on won’t work unless you search engine optimize them. SEO is the best tool that optimizes your website’s content to ensure more traffic and higher ranking for your site. Thus, it is crucial that you hire the best SEO experts who are well-versed in this art and knows the best SEO tips and tricks. Content is your kind and it will always be a king. If you want more traffic and engagement, ensure that the content’s quality is great. Your content should not only be unique and original, but it must have human qualities too. It means that target the emotions and needs of the consumer. They are reading your article because they need some answer, try to answer them. Don’t write only for the sake of traffic. Uses engaging images and has enough details. 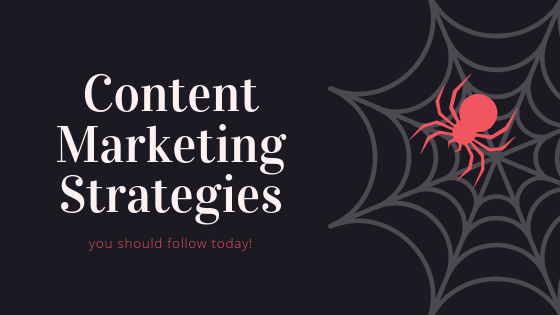 Content marketing strategies 2019 is not limited to just blogging. Content is content even if you use it in other forms, like promoting your product on social media. So, brainstorm and come up with other content related ideas that can work for your business. When you provide facts and figures in your blog, it increases the value of your content. But you need to be very careful with facts and figures. It is because stats and numbers keep changing. Thus, it is important to think tactically and even in some cases, conduct experiments on your own. It is not necessary that your blog will have 10,000 visitors per month. It can be less or even more. Instead of worrying and obsessing about reaching that number, work on your content marketing strategies 2019. Implement them regularly and you will see results. Also, to ensure that these work, create small and realistic goals like 1000 or 5000 visits per month. It will help you track and measure these goals easily, and verify whether your current strategies work for you or not. Trends keep changing, and if you want to stay on top of your business, you need to evolve with time. If certain trends or trick or methods are becoming obsolete, don’t waste time trying to revive them. 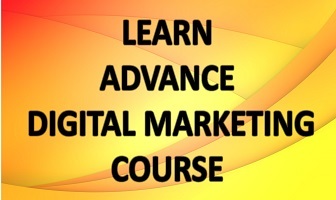 Instead, try to learn the latest methods so that your business can benefit from it. These content marketing strategies 2019 can help your business if done meticulously. They will aid your business to grow and yield long-term benefits like consumer loyalty and engagement. Also, remember that every business responds differently to these strategies. So, give it time, and you will see positive results.